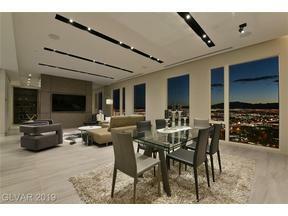 CHECK OUT THIS CONTEMPORARY CONDO DEAL IN PANORAMA TOWERS NEAR THE NEW RAIDERS STADIUM! Welcome to Panorama Towers 504…. 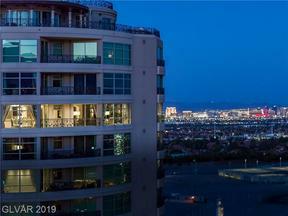 BEST 2 BR | 2 BA BUY LESS THAN $350,000 IN LUXURY HIGH RISE LIVING IN DESIRABLE PANORAMA TOWERS LOCATION! Absolutely GORGEOUS! 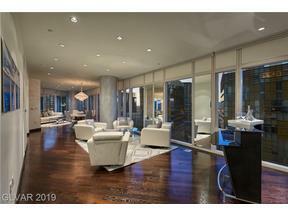 Turn Key Designer Furnished! 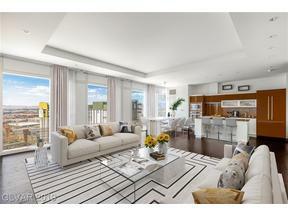 Richly appointed with Wood Floors, Carrera Marble Backsplash, Custom Window Treatments & Beautiful Accent Walls! One of the few high rise buildings with a gas stove. 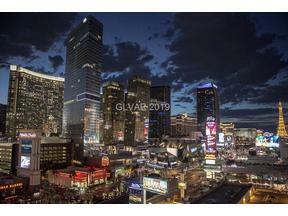 Quiet Unit W/ Beautiful Views of The Desert Sunsets, Mountains, & Pool! 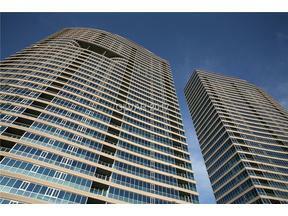 Lowest HOA dues for a 2 BR 2/BA unit in Panorama Towers! Minutes from the soon to be Raiders Stadium Site! 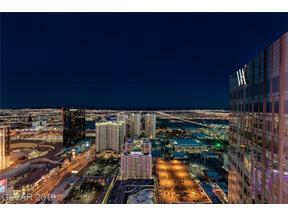 There is no missing the sleek blue glass buildings, known as Panorama Towers, that sit majestically just West of the Strip. Panorama Towers is primely positioned. 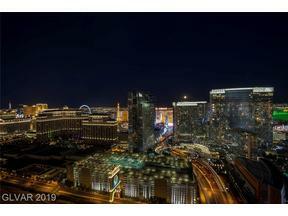 It’s just a stone’s throw from the New Raiders Stadium, a short walk to the T Mobile Arena home of the Vegas Golden Knights & incredible entertainment, and an easy jaunt across the Harmon overpass will take you directly to the Aria. 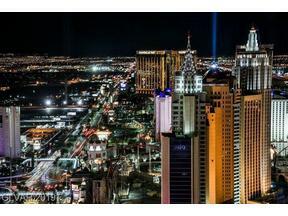 Not to mention the airport is only a 5 minute drive, and Downtown Las Vegas is about 7 minutes. It’s an extremely convenient location. Don’t want to drive? 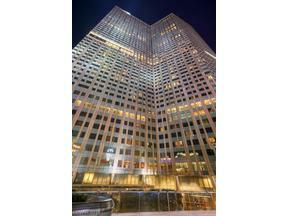 The building amenities include 24 hr. driver service that takes residents within a 6 mile radius. 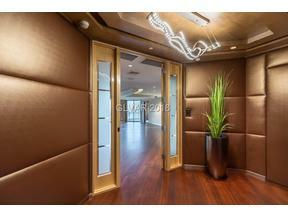 Other amenities include a game room with a pool table, & a movie screening room on the 3rd floor. 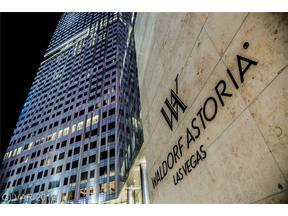 On the main lobby level, you will find a well equipped fitness center (one of the best out of ALL the high rise condos in my opinion), locker rooms with indoor spa, and a gorgeous pool area to soak up the Vegas sunshine! 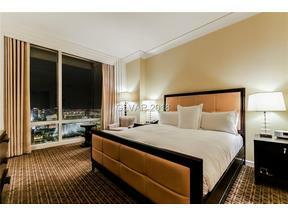 Don’t miss out on this incredible Las Vegas High Rise Deal! Call Lauren at 702 236-8364 for more info. 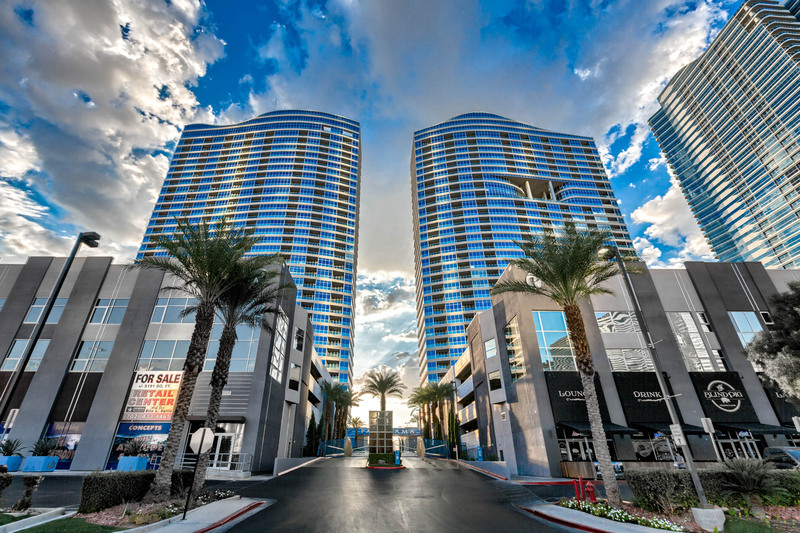 This entry was posted in Condos Near Aria, Condos Near The Stadium Site, Panorama Towers and tagged COndos for Sale in Las Vegas near the Strip, Las Vegas Condo Bargains, Las Vegas Condos for Sale near the Raiders Stadium, Las Vegas Condos for Sale UNLV, Panorama Towers, Vegas Luxury High Rises. Bookmark the permalink.